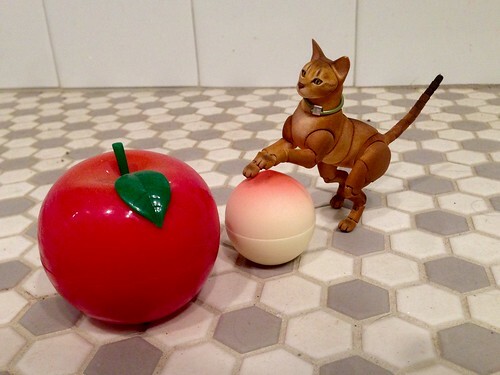 Thanks, tangentially, to the very missed Catsparella, I’ve fallen in love with Tony Moly beauty products. A lot of their products are packaged in cute little fruit-shaped packages. I thought it would be fun to pose the Russian ball-jointed Jacoby doll with some of my favourites. Here he is with my Apple Hand Cream and my Peach Lip Balm. Here’s the Jake doll on my Tangerine Hand Cream. 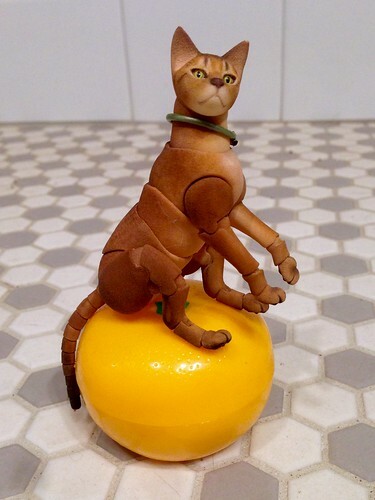 Cats may hate citrus, but…well, this is an exception.